Just days after losing his biggest fight in the UK, New Zealand national hero Joseph Parker is already planning his next move. 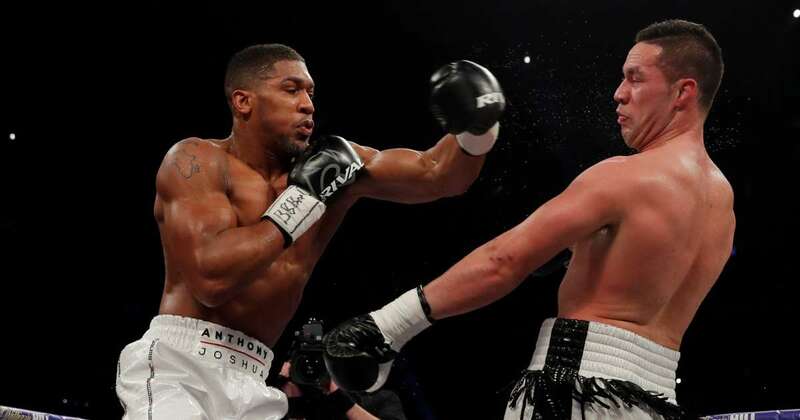 There are a lot of options on the table according to his promoter David Higgins, one of which includes fighting on the undercard of the man who just beat him – Anthony Joshua. Last Saturday night at Principality Stadium in Cardiff, Wales, Parker dropped a twelve round unanimous decision and his WBO title to WBA and IBF heavyweight champion Joshua. The fight drew a live crowd of around 80,000 people and served as an introduction for Parker to the English fanbase. Also on the card perennial heavyweight contender Alexander Povetkin of Russia fought Liverpudlian David Price in a crossroads bout for the34-year-old Scouser. Povektin won by fifth round knockout in a fight that is already being considered for “Knockout of the Year”. The entire event left a big impression on Higgins. “We saw what a big deal the Povetkin-Price fight was as the main undercard fight to Parker-Joshua and a Joshua show has a massive audience,” Higgins told the New Zealand Herald. “It’s about leaving ego out of it. August would be about the right time in the UK. Joe has got respect and support in the UK now whereas previously his only market was in New Zealand. There is already talk of Joshua facing his WBC counterpart next, American Deontay Wilder, in a fight that is expected to happen in the UK. Earlier this year Filipino superstar Manny Pacquiao knocked back the opportunity to fight on the undercard of WBO welterweight champion Jeff Horn’s title defence against Terence Crawford, originally scheduled for April 14. Horn defeated the eight-division world champion by unanimous decision in Brisbane last July.